Home sweet home. Undoubtedly, our home is the place where we relax, unwind ourselves and bond with the other members of the family. Therefore, whether young or adult, our homes are invaluable to all of us and we take every measure possible to keep it as the safe haven all the times. 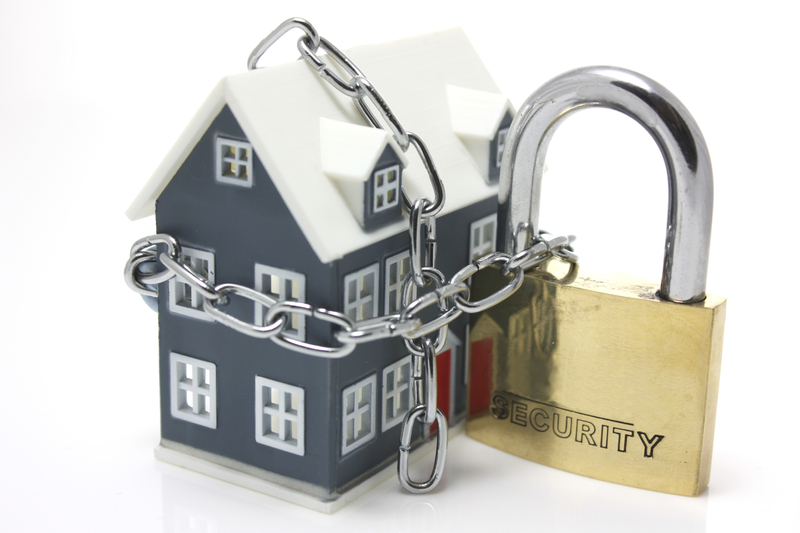 Naturally, the security of our homes is of utmost importance to us. Whether we manage to pull together a small, non-conspicuous house or build a sprawling villa, we take every measure that our home and its inhabitants and everything within it remains protected the time. That is why; we take extra precaution and try to safe our houses from all sorts of unwanted activities and nefarious elements. Initially, high-rise boundary walls and fences were enough to protect one’s house from outside ill elements. But with the passing of time, this became too insignificant to ward off the negative elements and more secured ways like barbed wires or electric wires started being used. But in the modern times, with the advanced technology, the unprecedented activities got more evil and cautious. Naturally, today we need to adopt more secure and techno-based security systems for houses, so that we can protect our house at any cost. Not only do the modern systems allow us to easily safeguard our homes and our beloved ones from the external trouble-causing elements but they also protect them against unwanted situations like fire caused accidentally or due to a silly mistake. Earlier, these events were quite out of control of the security systems that we had then but now it is possible to ward off such situations too. In this context, we will discuss some home alarm security systems that are often used today and are quite efficient too. Burglar alert mechanism: This is one of the most simple and mostly used systems when it comes to the protection of our home against outside elements. These usually come wireless in the latest versions and as such, they are quite easy to install and operate. These alert systems usually consist of a series of detectors for fire, smoke, carbon monoxide and even glass breaking. Whenever, any of these detectors record values exceeding the limit set by the security personnel, the alert is sent to the authorized security team and help is rendered immediately to ensure that no harm comes. 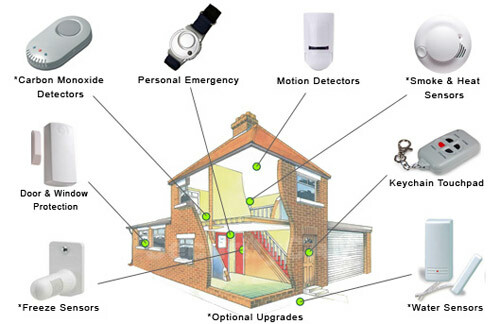 Deluxe alert systems: These are devised as a modification of the basic security system and offer extra protection and security with the help of further enhancements and devices like sensors for windows and doors, an alarm and a control section that’s equipped with additional backup devices. Central monitoring system: This is evidently one of the most common devices when it comes to home security. The alarms from different sections of the house connect to a central system wherein the professional security personnel monitor the activities in all parts of the house and the compound as well. This is quite safe as an expert is always in control of the situation. Master control sections: These are an essential complement to any security system with the home and allow the house-owner to be always aware of the condition of the security device and the safety of his home as well. Sign boards: Although these are not at all a part of advanced home security devices, these are quite useful in cases of unintentional trespassing and in some cases, work well to frighten off burglars. But relying solely on this method is not a good idea at all and can easily backfire too. Power backups: Dark nights easily attract thieves and burglars and so it is always advisable to have a backup supply of power in case you stay in a region frequented by electricity cuts. This is more of a supplement to a security system than being a security system itself. Remote controls: These are quite convenient and allow you to easily maneuver the security system of your house. You can turn on the security system installed in your house, even from a distance and they often come with the ‘panic’ button that notifies the authorities in case of a breach in security. Exterior keypads: These are quite useful and block out trespassers and other ill elements of the society too, as entry is denied with the proper access code and if multiple wrong entries are made in one go, the security authorities are alerted. Window sensors: Once you have got your doors protected, all you need to do is to add sensors to the windows and any attempt to break windows and enter will be nullified. Passive infrared systems for motion detection: These work quite well when you have to leave your house unattended for a long time. They are quite affordable too and easy to install. These systems work on the principle of identifying the presence of a body by the rise of heat and as soon as it detects one, the alert is sent off. Ultrasonic sound system: They warn the security authorities in case there is unexpected movement in a room and thus help prevent thefts or other such damages. Magnetic switches: These send alarm signals whenever a door or window is opened. When installed properly, this system warns you in case an unauthorized access occurs. CCTVs: These are quite useful if you have a very large home like a bungalow or a villa with several wings. The CCTVs are set up all over the place and the captured images and videos are transferred to a central monitoring system, where security personnel are there to keep an eye on all activities. Thus, you can see that with the passage of time, home alert mechanisms have become complex, competent and efficient and can thwart all kinds of ill attempts by intruders or harmful elements. These security systems are easily available in the market and once the installation has been properly done by a professional, you are secured within in own home. Choose one that suits you the best and be safe and happy.